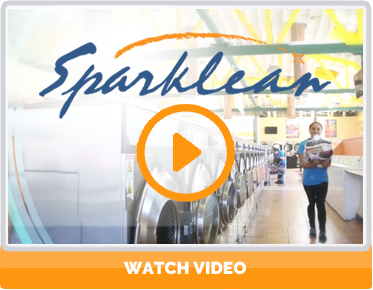 Sparklean Laundry is a family-run business that has been perfecting laundry services for over 40 years, offering Laundry Home Delivery Service, Laundry Drop-Off Service, Commercial Laundry and Self-Service Laundromats. We provide commercial laundry service for a range of businesses from party supply companies, fitness facilities and hotels to dog groomers and veterinarians throughout Los Angeles and Orange County. We handle extremely large orders and have expertise in laundry hoarding & clutter. At Sparklean, the choice is yours. Come on in and do your laundry in a clean and safe environment while taking advantage of our free Wi-Fi, televisions, movies, vending machines and video games. No quarters or coins are needed, our card system works throughout our facility and ATM machines are available. If you prefer instead to drop-off and pick-up your laundry, our friendly attendants will wash, dry, fold and package your order. We cater to our surrounding neighborhoods and the Sparklean team is always ready and willing to help. We are family run business in a corporate world and love what we do! Contact us today or call 800-960-1627 to take advantage of our laundry services!